Ilse Blok studied law and is a forensic researcher. In 1999, after a short career in the legal profession, she began working in forensic research practice, with one of the Big Four. From that time on, she carried out various investigations into integrity and fraud. She was also involved in advising organisations on the prevention of fraud. She participated, on behalf of the Ministry of Justice, in policy studies into financial-economic crime. In 2008 Ilse switched to join a large Dutch financial institution. There she was involved in centralising and further professionalising its integrity department. She was also responsible for implementing internal integrity investigations. In 2014 Ilse returned to the field of independent forensic services and joined us here at Integis. 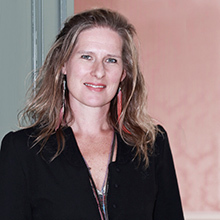 Ilse studied law at the University of Groningen and followed a post-doctoral programme in forensic auditing at the Erasmus University Rotterdam.